The great thing is chickpeas are high in fiber, and are a good source of iron and protein –much need nutrients in a meat-free diet. If you use canned chickpeas this meal comes together pretty fast, with down time during refrigeration. 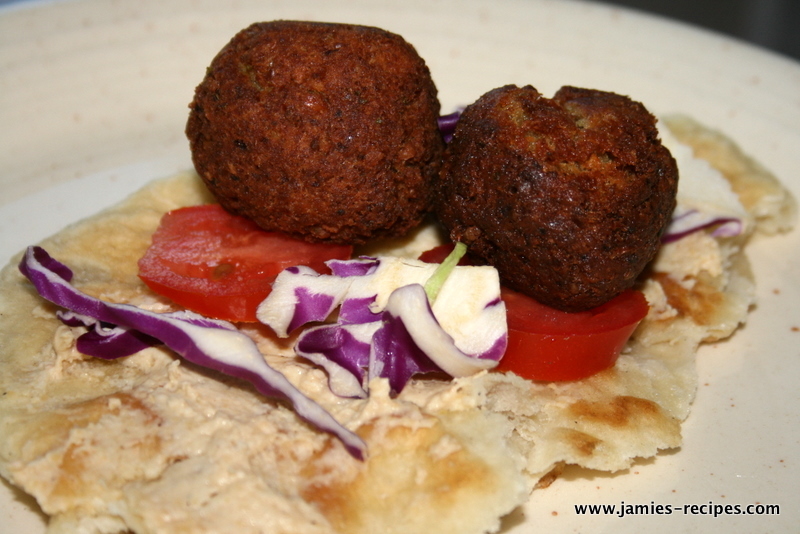 Traditionally falafel are served in a pita, with pickled vegetables or lettuce and tomato. I served mine on a piece of naan smeared in a homemade hummus, topped with shredded red cabbage, and tomato. It was truly delicious. Place chickpeas in your food processor and pulse until it becomes grainy. Add rest of the ingredients, combine while slowly adding in reserved liquid until mixture is gritty and well combined. Place mixture in fridge for 30 minutes (it helps them hold together when frying). 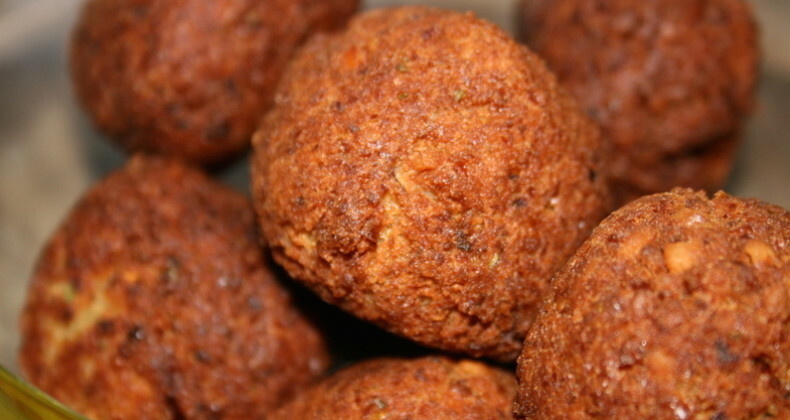 Preheat oil to 350 degrees F. Roll mixture into 6-8 balls. Fry in batches for a couple minutes until golden brown. These are delicious warm. ENJOY! I always bake my meat-balls. Can these be baked also? I’m disappointed! You made a blog post about falafel and didn’t contact me?!? That being said, spot on recipe. Sometimes we like to try correander (spelling?) instead of parsley to give it more zing. Furthermore, some place here also give the mix a squeeze of lemon! Enjoy this tasty dish with Hummus, a pickle, some tomato wrapped in pita bread for the authentic experience (you can also substitute hummus for tahini sauce for a more earthy taste).